Rugged and strong, like the company’s namesake, the Kodiak bear. Upon picking up the Acadia Shearling, you’ll be struck by the sturdiness of this boot and agree that Kodiak is a fitting name for this company that’s been around since 1910. Tackle the outdoors with outstanding features like a slip resistant rubber outsole, warm shearling interior, removable leather footbed, and Thinsulate insulation. 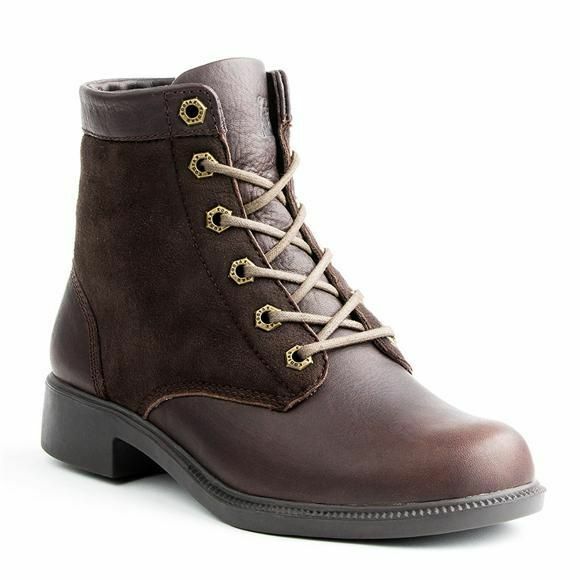 Equally suitable on your urban jaunts as your mountain treks, this is a well-made, waterproof leather boot that is at the same time stylish and practical. The Acadia Shearling is a comfortable boot, perfect to stand up to all your TrailblazerGirl adventures!